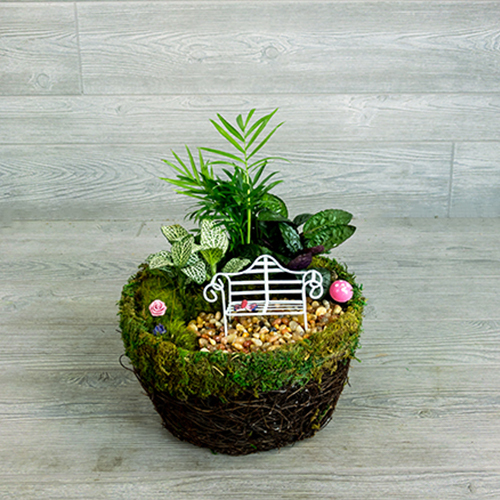 An enchanted forest miniaturized to fit any living space. 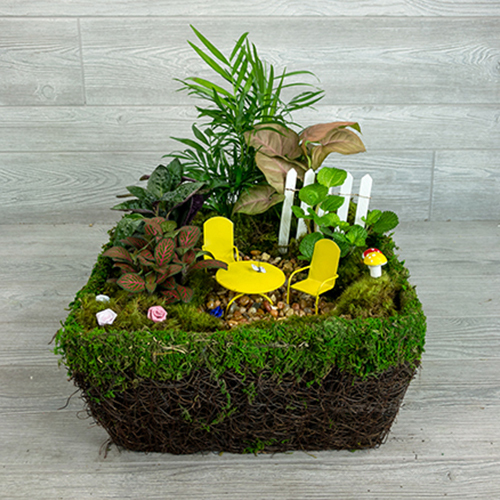 This Enchanted Moss Garden will have one daydreaming of a fairy magical place. 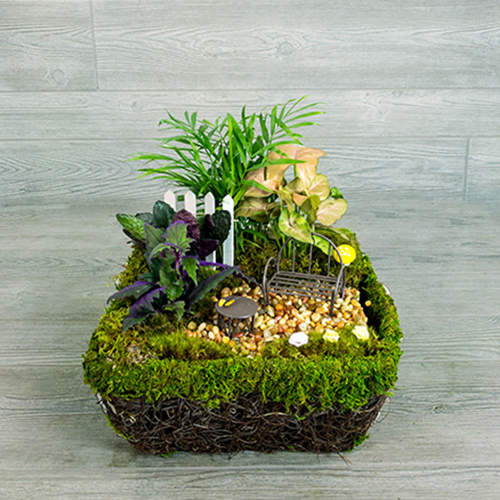 Fairies are not included – alhough they are known to appear.